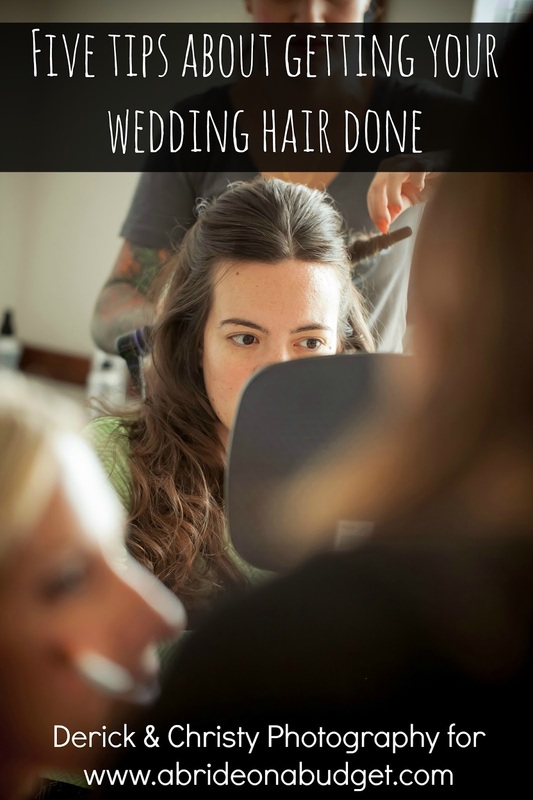 A Bride On A Budget received a gift card to CafePress for items for this review. All thoughts and options belong to ABOAB. I was looking at CafePress the other day thinking, "Extra invitations would be good to have on hand, just in case." I didn't have a just in case reason, but I like to be prepared. And CafePress has a ton of invitations. You can buy flat, folded, personalized, or blank. 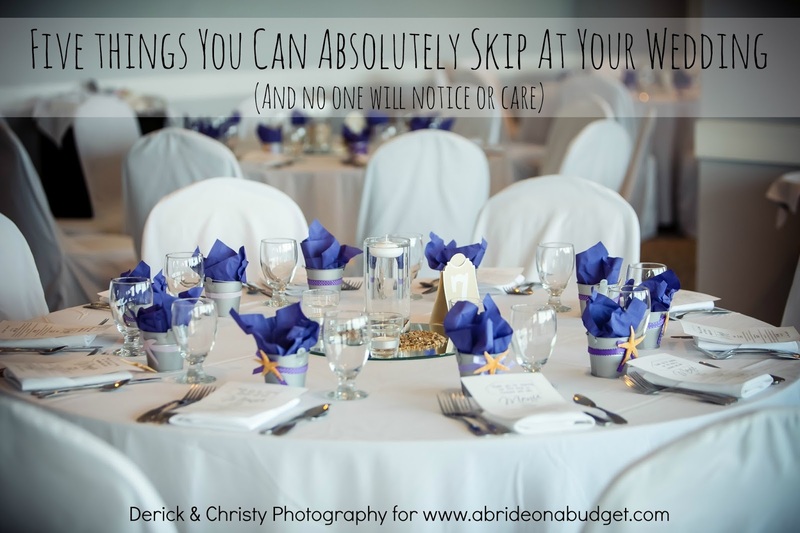 It's $1.50 per invitation, which is so much lower than the average price of $5 per wedding invitation. Plus, you can personalize these for free, which is great. I picked these super cute cartoon-y cards. I got a pack of 10, which was great to have on hand just in case. The cards are flat and blank on the back, so I can add any text I want. They also simply say, "I Do" on them, so I can use them for extra invitations, save the dates, or thank yous. If you know exactly what you would like invitations for -- maybe bridal shower invitations or to ask your friends to be in your bridal party -- you could search the site by specific occasion and see what is available to you. Those aren't the only wedding items CafePress has to offer. I was sent a gift card by CafePress and was able to chose anything I wanted. And quickly, I fell in love with an array of products. Luckily for me, the items at CafePress are really reasonable, so I was able to pick up everything I wanted. 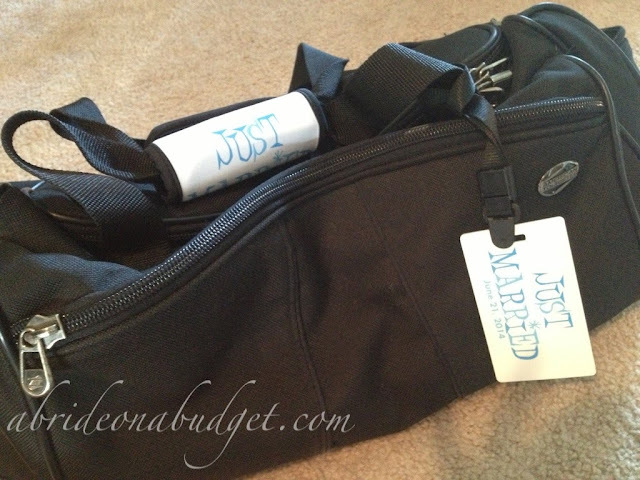 I absolutely fell in love with the Just Married luggage tag and matching handle wrap. 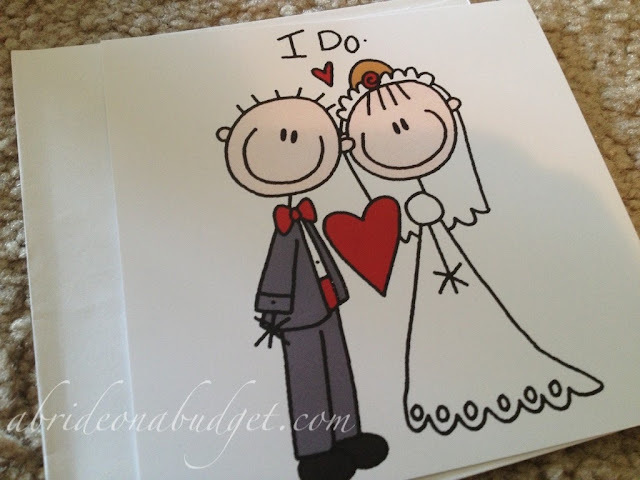 You can personalize it with your wedding date and pick it in pink or blue. I actually purchased blue for Pete and pink for me. They're so cute and so perfect for our honeymoon. You definitely need a luggage tag when you travel, so that is useful. But if you haven't ever had a handle wrap in your life, you need one. Now. The wrap goes around the handle of your back, separating it from the other plain black bags on the baggage carousel. I used to have blue luggage handle wraps and used them (as did my family) when we went to Japan. They were a huge help when we went to pick up our bags. Those are long gone and I was hoping to replace them. This is perfect. It's also a perfect bridal shower gift idea too. 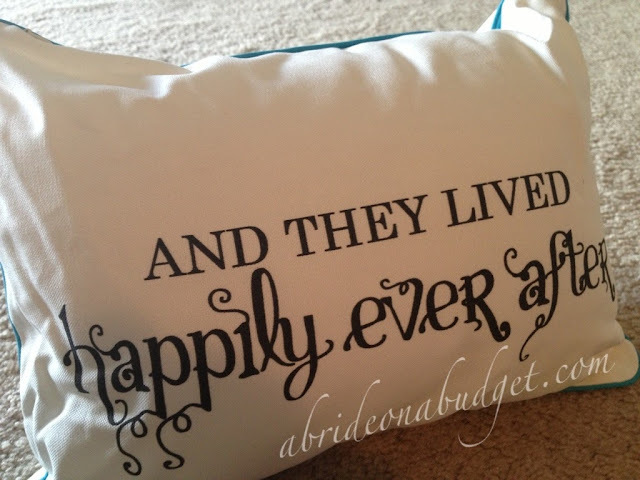 Another bridal shower gift idea is this super cute And They Lived Happily Ever After pillow. I love this. Absolutely love it. It is white with black writing, with a pop of color with the piping around the edge. You can get it in blue, green, brown, or more. Our bedroom set is light blue, so this is perfect. We have it sitting at the end of our bed with our other throw pillows. It's stuffed really well so it is super comfortable if you wanted to sleep on it, but I love it for just decor. The white is really white, so I didn't want to lay on it and sweat and ruin it. There are a lot of items that are just for fun as well, like the button above. 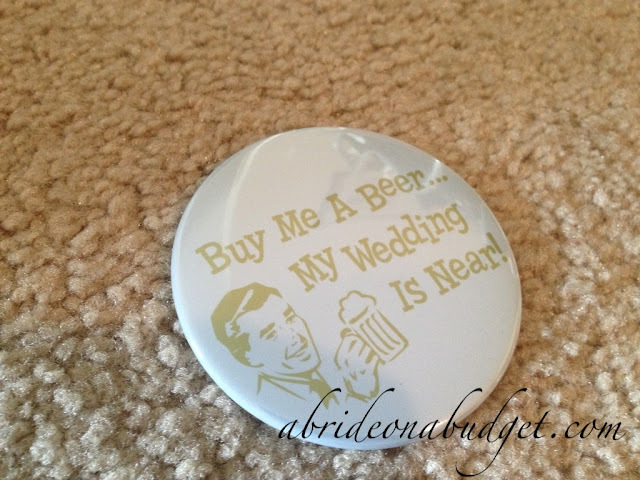 I got Pete the 3.5-inch round, "Buy Me A Beer My Wedding Is Near" button. It'll be great for him to wear during his bachelor party (although, if I know Pete, he'll be wearing it for a few weeks after. I mean, free beer?). There's a similar one that says, "Buy me a shot, I'm tying the knot." I actually thought it was super cute, but my friend Michelle told me it's a bad idea. She said that too many people would follow through and actually buy Pete a shot ... and he would be really, really drunk (something I don't want to happen). 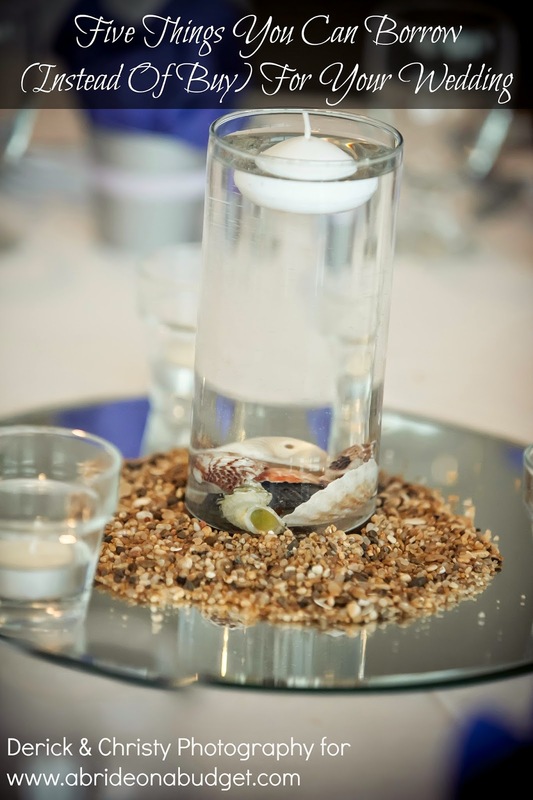 Even with the fun and novelty items, you have to be conscious of what you want. What if you can't find your saying? You can actually personalize your own products. Add your own photos and text. Love it. Pete and I are the groom and bride, so of course, I was picking out items for us. And then I thought I should maybe be a little considerate and pick out something for someone else. So I thought of my grandma. 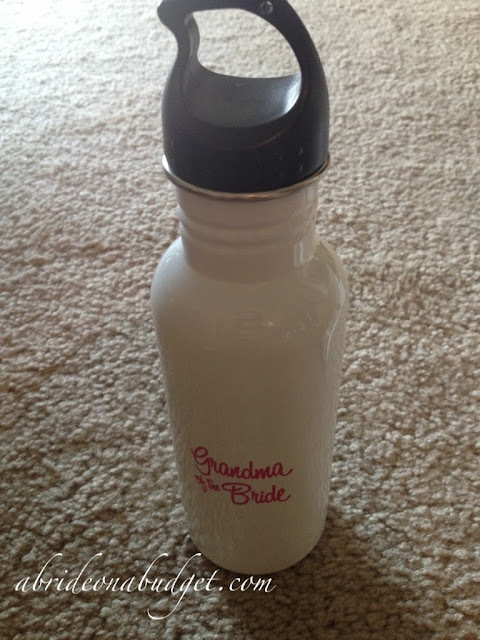 I looked around for items she might like and I found this super cute Grandma of the Bride water bottle. My grandma hates using plastic bottles, so she carries around a glass one. That feels so unsafe to me, in case it accidentally falls to the ground. This one is stainless steal, which is a lot safer. She does have until next summer before we are getting married, though, so she has to wait until then for her new bottle. 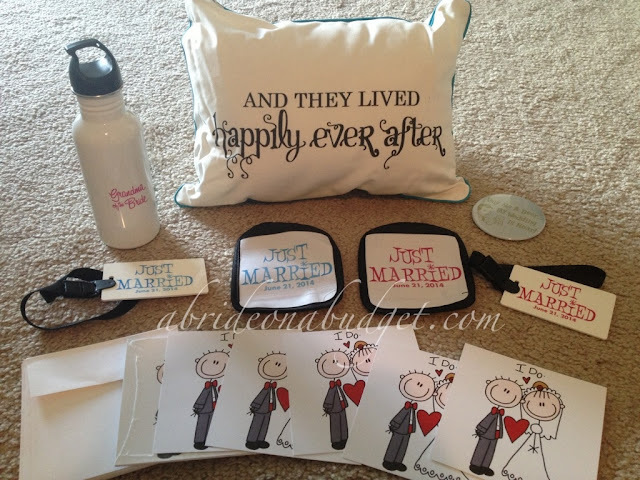 BRIDAL BABBLE: What wedding items do you love that CafePress sells?